Writings to amuse, teach, inspire and entertain. What Would the Coroner Think? I had a sudden urge to slap a patient yesterday afternoon. I didn’t act on the urge and was in no danger of doing so, but it rattled me all the same. I’ve never before felt like I wanted to hit anyone (with the possible exception of my brother when we were kids, at times of peak annoyance). For confidentiality reasons, I cannot reveal the content of the consultation which triggered such an out-of-character emotional response in me. In general terms, the patient has an unhealthy dose of the “poor me” mentality, a stark lack of insight into, or compassion towards, others, and is causing her loved ones distress and harm. We not uncommonly see patients like this and she was not an exceptional example. I normally handle such patients perfectly calmly. She just happened to inadvertently say exactly the wrong things at exactly the wrong time…. wrong for me that is. My response was not about a heartsink patient, it was about a heartbroken doctor. I have become really good at separating my “stuff” from my patients’ “stuff”. Caring about, but not self-identifying with, patients’ problems. Not contrasting or comparing. Being very mindful (ie present, aware and non-judgmental) during consults. Providing genuine empathy without taking others’ emotional burdens. It has taken time and a heap of deliberate practice to do this well but the rewards have been oh so sweet. Career saving. I’ve got back my clinical work mojo. I once again love seeing patients. Yesterday, communicating with patients and staff felt forced. Conveying empathy felt fake. Working like that is draining; utterly exhausting. Why were things suddenly so difficult? Why was I feeling so vulnerable? recognise when we are affected by one (or more) of them, “halt” what we are doing, ask ourselves what influence being hungry, angry, late or tired is having on our performance, and then try to minimise its impact. In contexts such as addiction recovery, “Lonely” is substituted for “Late”. Same principles: halt, reflect, rectify (when possible), avoid negative impacts. I was not working while hungry, angry, late or tired yesterday, but the principles of H.A.L.T. did apply. Yesterday was my partner’s birthday. And today is the anniversary of his death; two years since he was mowed down on his morning jog by an impaired driver. Two years ago today, I got the phone call we all dread. The phone call that informs you there’s been an accident involving one of your immediate family. The phone call that tells you that the person you love most in this world has been killed, changing your life forever. I always find anniversaries hard, and with two dead partners and two dead daughters, I have had plenty of experience with them. Should I have gone to work yesterday? The practice I work for is brilliant about such things – everyone there would have been utterly supportive of my taking the day off despite us being understaffed at the moment. Why then it is so hard for me to admit that, despite how far I’ve come and how well I’m doing overall, I’m not always OK? And that is OK to not always be OK? I’ve told at least four stressed patients this week that it is OK to take sick leave for mental health reasons. I’ve counselled. I’ve written medical certificates. I’ve told them to put themselves first etc etc. With the greatest sincerity and not a hint of irony. 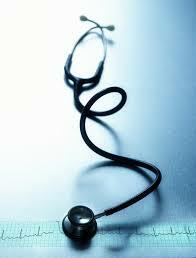 I teach about doctors’ health and wellbeing all around Australia, and beyond. I’ve written a play about it (“Physician Heal Thyself”). I’m extremely passionate about doctors’ self care, almost one of those annoying crusader types. And yet I find it so hard to practice what I preach. Today, I have halted. I’m having a quiet day and I’m feeling much more settled. Tomorrow I will start marking 1400 odd GP exam papers (the FRACGP written exams are being sat today around Australia). And on Monday I will walk back into the surgery, hopefully with my ability to empathise intact and my mojo restored. The waves of grief come far less often and with less intensity as time goes on. The short storms that hit around anniversaries are precious reminders of what I’ve lost and how far I’ve come, and as such, should be treasured. I’m positive that this one, like the last, will clear soon…. revealing clear skies and calm seas. For underneath the currently choppy surface, I am at peace. I’m happy, I’m fulfilled and I’m loved. Truly loved. Most of all, I’m grateful. I’m grateful for many things, including the silver linings of the storm clouds – the wisdom, strength, opportunities and sense of purpose which have been given to me by that which has been taken away. Plan A didn’t work out for me. Neither did Plan B or C. But Plan D is working pretty well, and I’m buoyed by the knowledge that there are 22 more letters in the alphabet if I need them. For many years, I rallied against Valentine’s Day. I saw it as crass commercialism of love. If I’m honest, I think that underlying my objection were memories of teenage angst. Unlike all of the “popular” girls at school, I didn’t receive a single Valentine’s Day card or gift. In the typical heightened emotional mindset of an adolescent, I saw Valentine’s Day as an annual reminder of how unloved and unlovable I was. Fast forward a couple of decades and I found myself with a man who loved Valentine’s Day. Growing up in America, for him it was a much hyped event. According to Wikipedia, “in the United States, about 190 million Valentine’s Day cards are sent each year, not including the hundreds of millions of cards school children exchange”, and “the average Valentine’s spending has increased every year, from $108 a person in 2010 to $131 in 2013”. For my partner and his family however, Valentine’s Day was not about sending cards or gifts, it was about showing friends and family how much you appreciated them. In some Latin American countries, Valentine’s Day is known as “Día del Amor y la Amistad” (Day of Love and Friendship). Part of this is about performing “acts of appreciation” for friends and colleagues: acts like a kind word, helping someone out with a chore, expressing gratitude, and telling colleagues, friends and family how much they mean to you. You could argue that we should be doing this every day of the year, and you would be absolutely right, but it can help to have a day to remind us to focus our efforts on nurturing our various relationships, personal and professional. Extending this further, it may be a timely reminder to check in on the most important person in our lives: ourselves. How are you travelling? Are you nurturing your body and mind? Showing yourself a little self love? As we are all aware, we need to look after ourselves properly in order to help others. My Valentine’s Day-loving partner is no longer with us, may he rest in peace. However, I would love his non-commercial passion for Valentine’s Day to live on and be shared with others. So I’m asking you all to consider reaching out to those in your life this Valentine’s Day, and bestowing upon them “acts of appreciation”. And, if you feel so inclined, put aside five minutes to take stock of your own state of happiness and well-being, hopefully showing yourself a little bit of self-compassion and kindness as you do so. One reason why I chose to do medicine was that I didn’t always trust doctors – another being access to an endless supply of jelly beans. My mistrust stemmed from my family’s unfortunate collection of medical misadventures: Grandpa’s misdiagnosed and ultimately fatal cryptococcal meningitis, my brother’s missed L4/L5 fracture, Dad’s iatrogenic brachial plexus injury and the stuffing-up of my radius and ulna fractures, to name a few. I had this naïve idea that my becoming a doctor would allow me to be more in charge of the health of myself and my family. When I discovered that doctors were actively discouraged from treating themselves, their loved ones and their mothers-in-law, and that a medical degree did not come with a lifetime supply of free jelly beans, I felt cheated. I got over the jelly bean disappointment quickly – after all, the allure of artificially coloured and flavoured gelatinous sugar lumps was far less strong at age 25 than it was at age 5 – but the Medical Board’s position regarding self-treatment took a lot longer to swallow. Over the years I’ve come to understand why guidelines exist regarding treating oneself and one’s family, as well as close colleagues, staff and friends. Lack of objectivity is not the only problem. Often these types of consults occur in informal settings and do not involve adequate history taking, examination or note-making. They can start innocently enough but have the potential to run into serious ethical and legal minefields. I’ve come to realise that, like having an affair with your boss or lending your unreliable friend thousands of dollars to buy a car, treating family, friends and staff is a pitfall best avoided. Us girls are a bit more likely to seek medical assistance than the blokes (after all, it is pretty difficult to do your own PAP smear – believe me, I’ve tried), but neither gender group can be held up as a shining example of responsible, compliant patients. It seems very much a case of “Do as I say, not do as I do”. I wonder how much of this is due to the rigorous “breed ’em tough” campaigns we’ve been endured from the earliest days of our medical careers. I recall when one of my fellow interns asked to finish her DEM shift twenty minutes early so that she could go to the doctor. Her supervising senior registrar refused her request and told her, “Routine appointments need to be made outside shift hours. If you are sick enough to be off work, you should be here as a patient.” My friend explained that this was neither routine, nor a life-threatening emergency, but that she thought she had a urinary tract infection. She was instructed to cancel her appointment, dipstick her own urine, take some antibiotics out of the DEM supply cupboard and get back to work. “You’re a doctor now; get your priorities right and start acting like one” was the parting message. Through my medico-legal and medical educator work, I’ve had the opportunity to talk to several groups of junior doctors about self-care issues and the reasons for imposing boundaries on whom they treat, hopefully encouraging to them to establish good habits while they are young and impressionable. I try to practise what I preach: I see my doctor semi-regularly and have a I’d-like-to-help-you-but-I’m-not-in-a-position-to-do-so mantra down pat. I’ve used this speech many times to my advantage, such as when I’ve been asked to look at great-aunt Betty’s ulcerated toe at the family Christmas get-together, and to write a medical certificate and antibiotic script for a whingey boyfriend with a man-cold. The message is usually understood but the reasons behind it aren’t always so. My niece once announced knowledgably, “Doctors don’t treat family because it’s too hard to make them pay the proper fee.” This young lady wants to be a doctor when she grows up, but must have different reasons than I did at her age. She doesn’t even like jelly beans! General Practice – a strong-link or a weak-link profession? Sharks and sausages – the risks are small but is it worth it? Deprescribing: a fancy word for ceasing? Do you know what you don’t know? Want to find out? Alternative treatments and cancer sufferers – hope-giving or exploitation of the vulnerable? What do GPs actually do? Could I have saved my doctor? Perspective. It’s a fascinating concept, any way you look at it. I think that “closure” is for cupboards, not for people.